Rumors abound that Apple has explored the idea of buying Tesla. Naturally the article that started this, published in the San Francisco Chronicle over the weekend, doesn't come out and say this. It just strongly implied it by reporting that Adrian Perica, Apple's mergers and acquisitions czar, who has been on a buying spree over the past 18 months, "met with Tesla CEO Elon Musk in Cupertino last spring around the same time analysts suggested Apple acquire the electric car giant." Yes, it sounds far-fetched. Why would Musk sell Tesla? The company is on a roll, and Musk doesn't seem the kind of guy looking for a quick exit. And why would Apple want to manufacture cars, despite declining interest in tablets, a maturing market for smartphones and stiff competition from Samsung (hardware) and Android (operating system), and no new killer product category in the offing -- at least that we know of? Still, some believe the two companies are meant for each other. And according to the site, Patently Apple, the company's Senior Vice President of Worldwide Marketing, Phil Schiller, once testified, under oath during Apple's case against Samsung, that Apple had considered building its own car before opting to make a smartphone. Actually, Apple has been kicking the tires of cars for a while, if its 35 car-related patents, as well as several patent applications. So has Google, famous for its self-driving car and which has more than 300 patents that pertain to navigation, maps, auto-related smart devices and the like. Other companies that have patented technologies related to cars, according to a report compiled by Envision LP, an intellectual property consultancy, include Samsung (234 patents), LG (161), Sony (155), Blackberry (108 ) and Nokia (42). Makes you look at the idea of mobile technology in an entirely different light, doesn't it? 1. A touchscreen that sits on your car's dashboard. 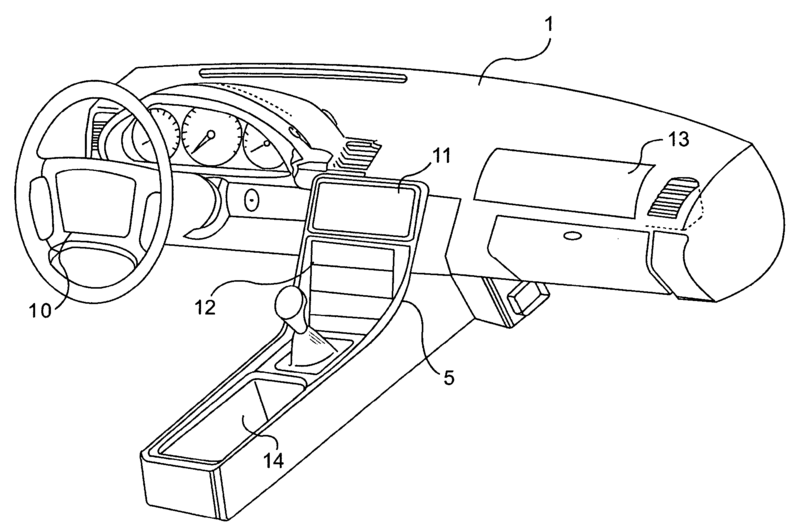 Patent 8,482,535 covers a “Programmable tactile touch screen displays and man-machine interfaces for improved vehicle instrumentation and telematics.” In other words, a giant iPad that you can use to control all the functions of your car. Probably better than all those steering wheel buttons and the like you're forced to learn whenever you rent a car. 2. An automobile finder. 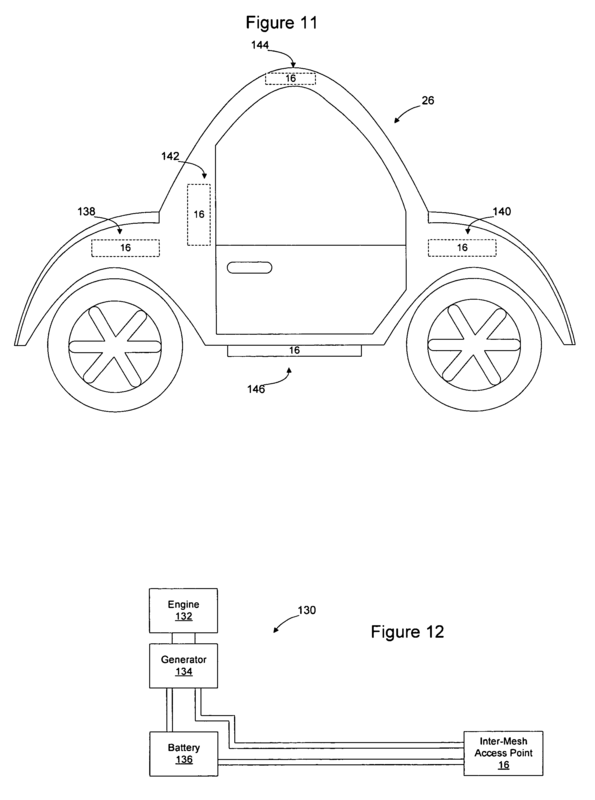 Patent Application 20130103200 covers a "Method for Locating a Vehicle." Remember that "Seinfeld" episode when Jerry, George, Kramer, and Elaine can't find where they parked their car in a giant public garage? If they'd had this portable computing device outfitted with bluetooth, they'd have never lost it in the first place. 3. A system to connect all functions of the car. Patent 8,248,968, "Method and apparatus for providing mobile inter-mesh communication points in a multi-level wireless mesh network," was filed for in 2003 -- before Apple chose to work on a smartphone instead of building a car -- but was only recently granted in Aug. 2012. Hmm. 4. 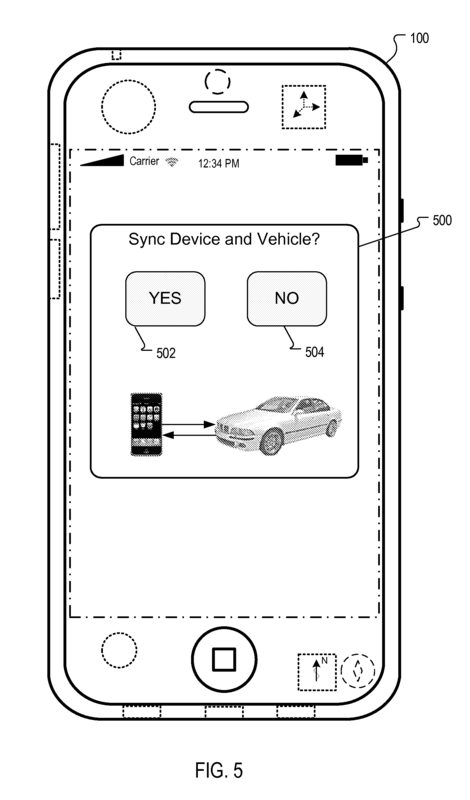 Using your iPhone as a remote control for your car. 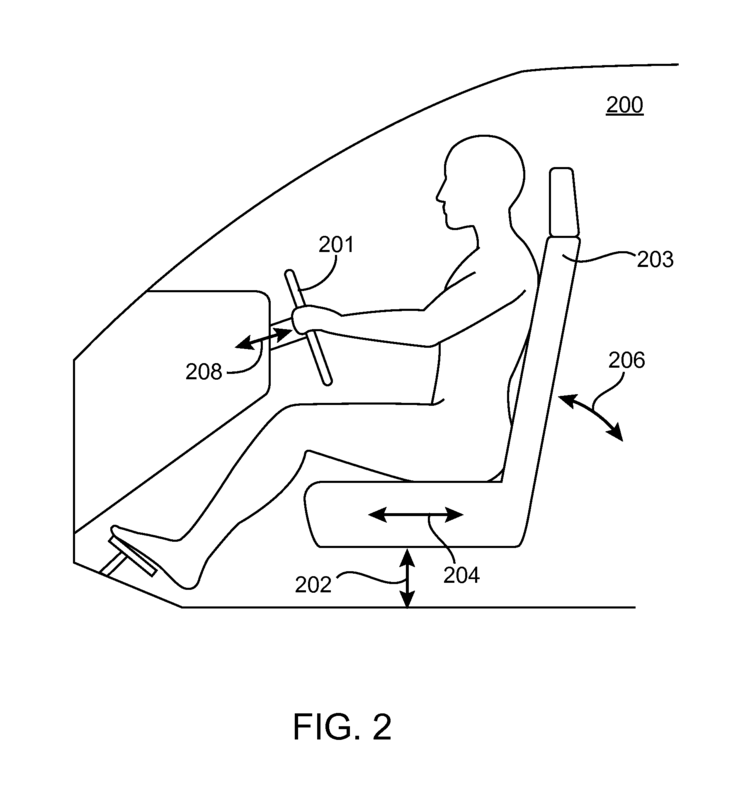 Patent 20130197674 for "Automatic configuration of self-configurable environments" describes a system that can control various functions in your car -- from turning up or down your heat and air conditioning to changing your seat and mirrors' positions to adjusting your steering wheel all from your smart device. 5. 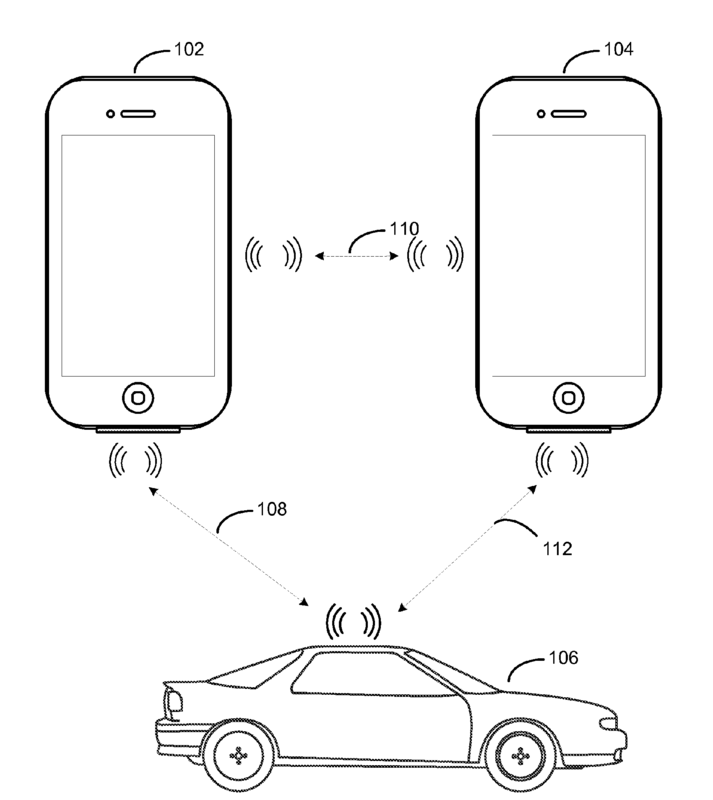 Hooking your iPhone right into your car's GPS. Patent 20120225677 for "Synchronizing mobile and vehicle devices," truly makes using your car's GPS a hands' free endeavor. Combine it with Siri and, well, you have pretty much every other GPS product that's out there. Still, if Apple were to ever manufacture a car, you can bet it would be a closed system and the company wouldn't allow rival GPS systems to work in it.